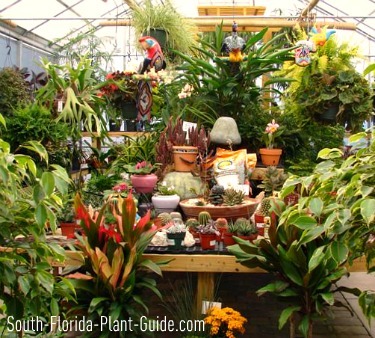 Buying plants in South Florida is easy. 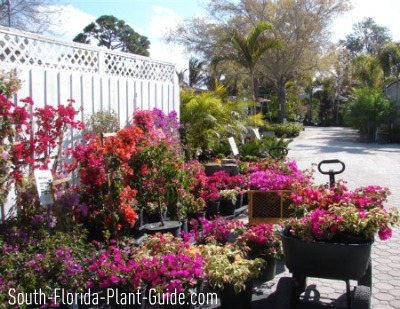 Everywhere you go you see plants for sale...not just at garden centers and nurseries, but also discount stores, box stores, the grocery store, and flea markets. Is this the right plant for your needs? Will it work where you want to plant it? Do you know anything about it - how fast it will grow, what light it likes, how much water it needs? Will it even grow in our subtropical climate? When buying plants, a new little plant often has a tag with the plant's name and some basic info. Beware! These tags are actually generic, not specially meant for South Florida. 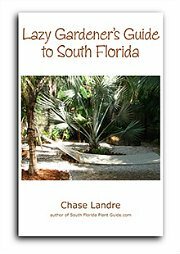 These can fool even the most experienced Florida gardener. 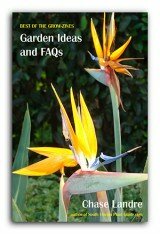 The best place for buying plants? At a reputable plant nursery - OR - a garden center where the people really know their stuff. The worst place to buy plants? At the box stores (or anywhere else that doesn't grow/sell plants for a living). Plants shipped in to box stores are often greenhouse-grown - not out in the hot sun where you might be planting them. And they can harbor microscopic bugs or suffer stress from shipment, the results of which may show up later after you've already got the plants in the ground. Reputable plant nurseries ALSO get some plants shipped in...but they know the plant's history and can pass that info on to you. And they're experts on plant problems, buying only from top-quality local growers whose plants are in excellent condition. 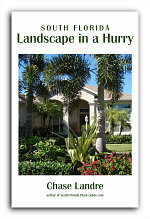 Many even offer landscape design help and gardening classes. Some carry decorative pots, fountains and outdoor furniture. Others may carry unusual plants and the growing information for them. "But the box stores offer a money-back guarantee, and most plant nurseries don't." The box store doesn't actually guarantee their plants - they make their growers guarantee them. So if you return a plant, it's money out of the growers pocket. And it's double the work for you. ...you don't need a guarantee. Annuals usually come in 4-1/2" pots. Other plants are available in a 1 gallon, 3 gallon, 7 gallon, 10 gallon, 15 gallon or 25 gallon pot. The largest size plants are B & B ("balled and burlapped"), meaning they were field-grown. Plants in a 3 gallon pot usually have 3 plants in them, meant to grow into one bushy plant. Don't separate them...their roots are probably intertwined, and planting them singly gives a landscape a skimpy, amateurish look. Don't be put off by how different a young plant - especially a tree or palm - looks from what it will become. After all, how many of us look like our baby pictures? And don't be deceived by how little and compact a young plant is - check with the Plant Pages and/or the nursery for the mature size you can expect. For fast growing hedge shrubs (or any fast grower), 3 gallon size pots work fine. If you need privacy or a more "finished" look right away, buy 7 gallon. For any slow growers, plants in 1 gallon pots take forever. Buy 3 gallon (or larger). Small perennials like society garlic usually come in 1 gallon pots. 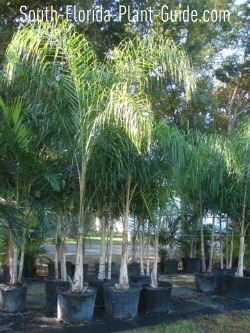 Palms and trees are generally offered in 15 or 25 gallon, so they'll have some size now. Only buy them smaller if you're pretty young yourself. Buying plants like large B & B palms and trees can be expensive...but can be worth the expense to have the instant gratification of more mature specimens in your landscape. This size must be professionally installed. Same answer as when to plant. Any time. 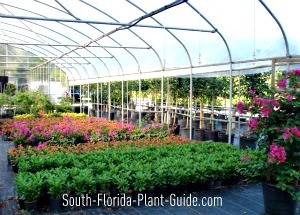 Looking for a plant nursery near you?